The Osprey are flying overhead (but not yet eating fish on the top of our mast) and the boys have hair cuts. 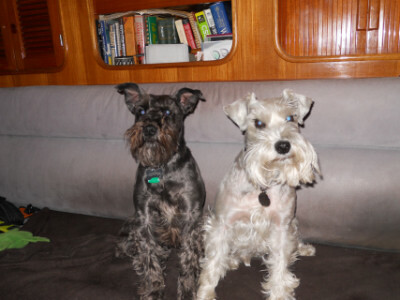 Although they are cute when shaggy, now they are proper schnauzers. Handsome as can be! Proper schnauzer vs the shaggy winter versions. Happy Spring To Everyone!